Dr. Alan Smith is the Associate Director of Computational Biology. His expertise is in the areas of experimental design, data analysis, and bioinformatics to identify metabolic signatures and generate predictive models. 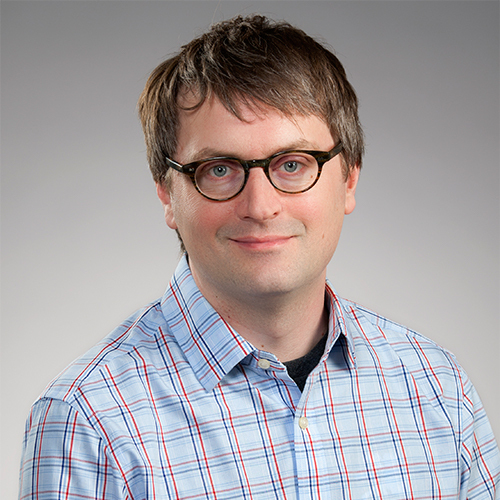 Dr. Smith was a postdoctoral fellow at the University of Wisconsin-Madison in Dr. Gabriela Cezar’s laboratory where he developed laboratory methods for metabolomics of cell culture and tissue based experiments, as well as a metabolomics data analysis pipeline that are the foundation of Stemina’s metabolomics platform. Dr. Smith completed his Bachelor’s and Master’s Degrees in Biology at Purdue University and received his Ph.D. from the University of Wisconsin-Madison in Plant Breeding and Plant Genetics. His expertise is in epigenetics, metabolomics, and computational biology.